Enjoy mouthfuls of barbecued goodness at Mandu right here in the District. Bulgogiiiii! If this sounds like gibberish, envision heaping piles of sizzling, well-marinated barbecued beef. It’s a meat lover’s paradise, and this dish is most typical of Korean barbecue (aka Korean BBQ or KBBQ). Other dishes, like vegetable and seafood plates, are common as well in Korean barbecue joints, so don’t fret if beef’s not your thing. How about some juicy grilled vegetables and red-hot, spicy tofu soup? It’s the perfect meal for a chilly day, and thankfully you don’t have to travel far to indulge that Korean barbecue craving. 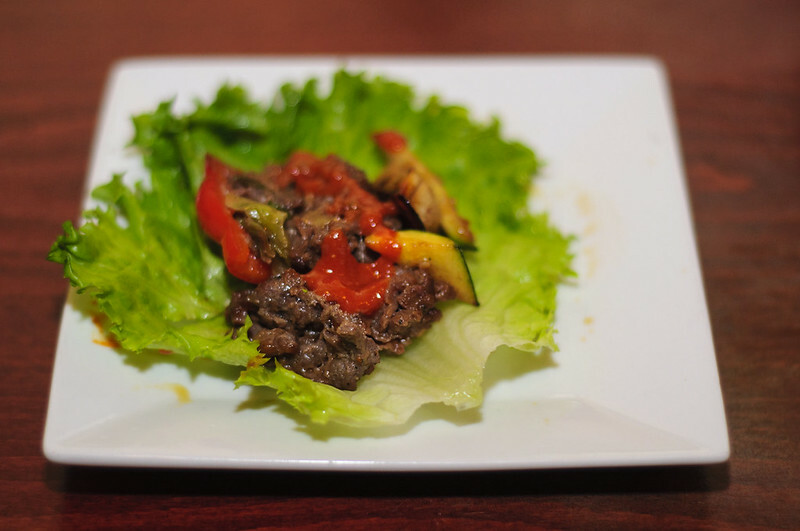 Mandu is a spacious, sit-down Korean restaurant that’s just a short walk from Dupont Circle. Different from the traditional Korean set up, which features table-top grills, Mandu serves made-to-order dishes. 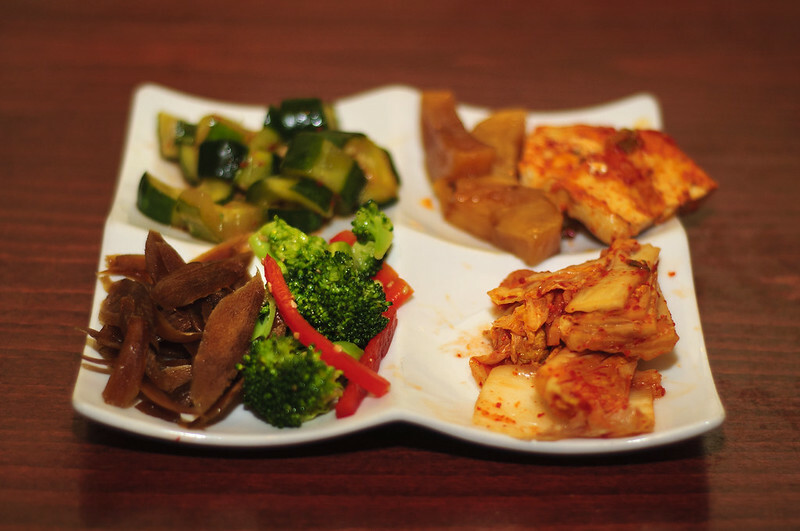 The meal starts off with tasty complimentary banchan-small side dishes of pickled vegetables like kimchi. Personally, I love the different medleys of cold, sweet, sour and spicy that you can find on each plate. If you have never been to a Korean barbecue restaurant before, dolsot bibim bap is a go-to dish. 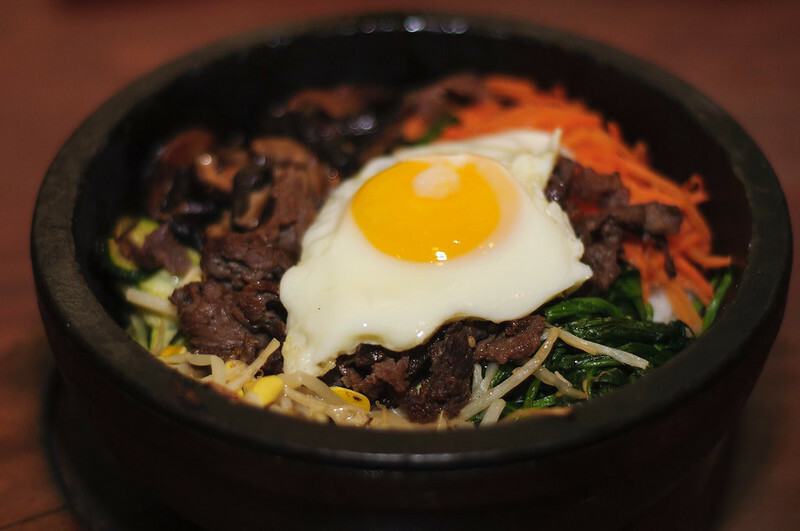 Served in a hot stone pot, it’s topped with a fried egg, assorted vegetables and bulgogi. The rice crisps up nicely against the pot to give the dish an extra crunchy bite. You can even substitute the beef for tofu, chicken or pork. Now let’s get to the bulgogi. 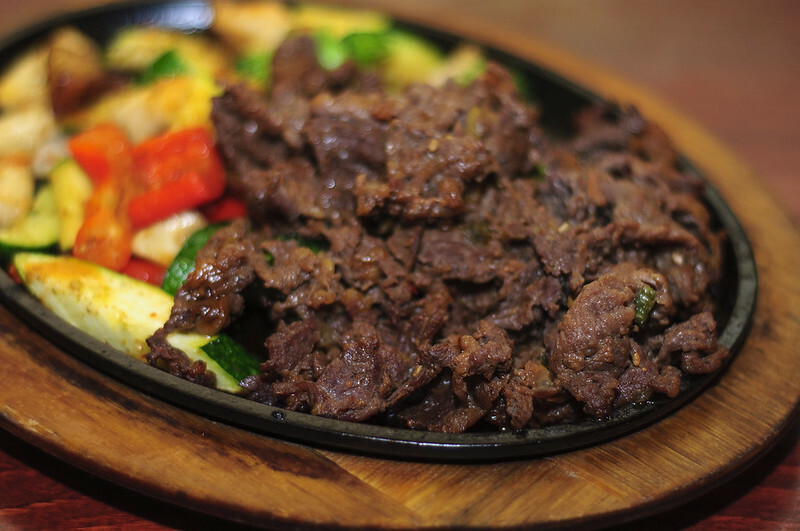 Sweet, savory and grilled in perfect bite-sized pieces, the bulgogi at Mandu is delicious. It is served with lettuce wraps, an assortment of sauces and a generous accompaniment of grilled vegetables. The best part is that you can eat it in whatever combination suits your palate. I like to mix it up! 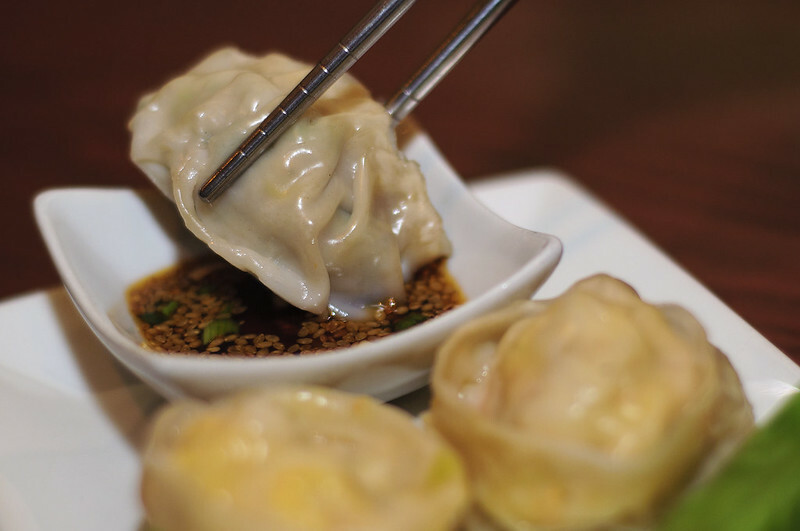 Mandu’s namesake, dumplings served with soy-sesame dipping sauce, are A-okay. The choices range from shrimp, vegetable and beef. Although they are not very flavorful on their own, the dumplings greatly benefit from the accompanied sauce. They are half-price off during happy hour at 4pm-7pm everyday. In the mood for a different classic Korean dish? 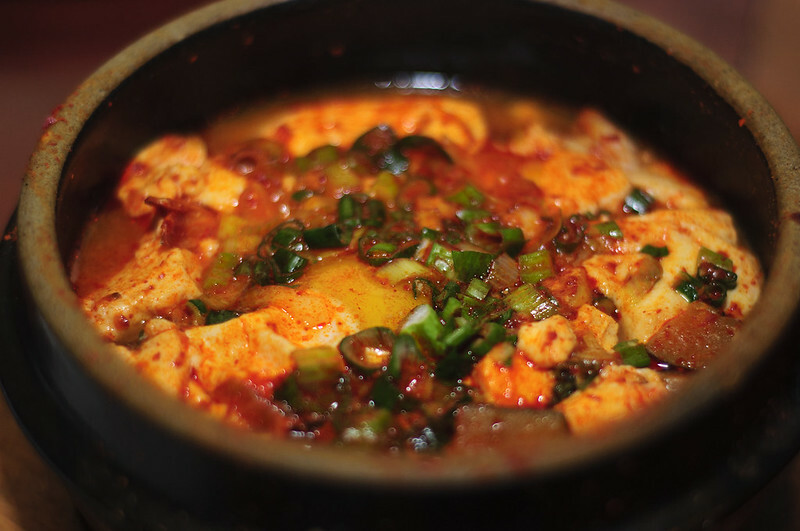 Their soon doobu is a popular seafood-filled tofu soup. It’s chunky, spicy and best eaten when boiling hot. This dish keeps your tastebuds wanting more and will definitely warm you up. All-in-all, Mandu is a great way to introduce yourself to the flavors of Korean barbecue and will temper the cravings of current Korean barbecue lovers. Check it out! Note: If you’re willing to trek farther, Adam’s Express in Mt. Pleasant serves a mean, no-frills bibim bap, and of course there’s Virginia for all-you-can-eat Korean barbecue (AYCE KBBQ). The ever-popular Honey Pig, Yechon, Kogiya, and Oegadgib are all in Annandale, VA.